Rince the rice & drain it. Instead cook only with water, now you mix a little bit of water with coconut milk, a pinch of salt & ginger puree. Don’t forget to add knot of pandan leaves & cook your rice. (In this method I’m using a rice cooker, it is just more easier for me). 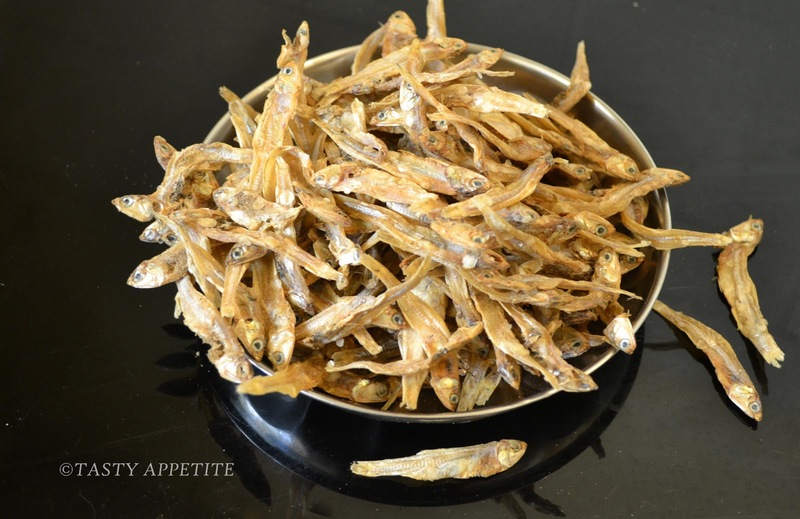 Rinse the dried anchovies with clear water & drain it. Fry them on a wok over medium-high heat until the color turns to light brown & more crispy. Devide to half & set aside. 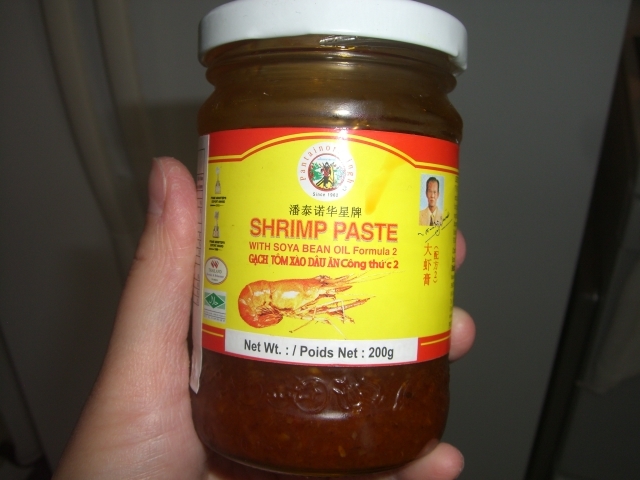 Pound or blend together prawn paste with shallots, garlic, dried chillies, sugar into a food processor or with mortar and pestle until the ground spice well combined. Heat some oil in a pan over medium-high heat, fry the ground spice paste until you smell the fragrant. Then add the sliced onions, stir again. Add the fried anchovies and stir again until well combined. You may add some sugar, salt & pepper to your personal taste. Set aside. On a plate add coconut steamed rice, pour some sambal dried anchovies on top of the rice. (see picture) Serve together with slices of cucumber, hard boiled eggs, peanuts, dried anchovies and some chicken or lamb curry.